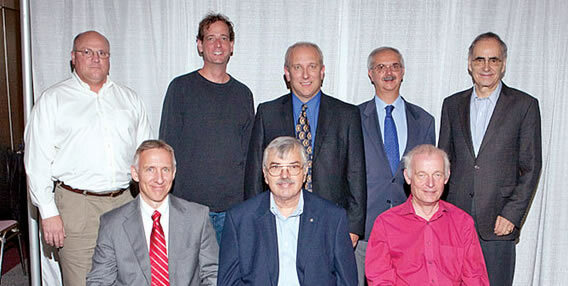 The Global EMC University was held in conjunction with the 2009 IEEE International Symposium on EMC in Austin, Texas. This was the third consecutive year that this popular program targeted toward engineers who are new to the field of EMC has been offered at the symposium. The Global EMC University is 18 hours of instruction on basic EMC-related topics that is run in parallel with the traditional technical sessions at the symposium. 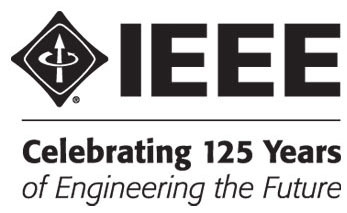 Classes are taught by an international panel of educators, who are selected for this program based upon their reputation for excellence in areas of practical importance to EMC engineers and their demonstrated ability to communicate effectively with students who are new to the field. 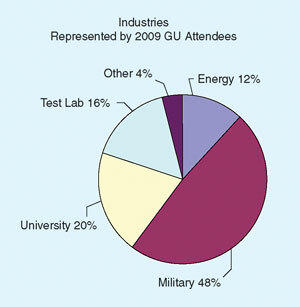 Students receive Continuing Education Units (CEUs) for their participation in the class and are encouraged to attend symposium workshops, exhibits and social activities when they are not in class. 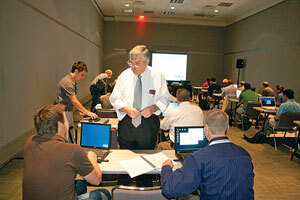 Professor Clayton Paul visits with students during a break in his lecture on PSPICE during the Global EMC University. 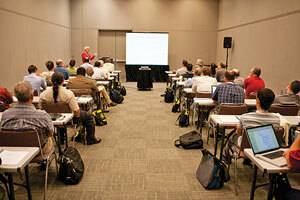 Professor Andy Marvin speaks to a full house at the 2009 Global EMC University in Austin. Flavio Canavero, and Al Ruehli. (Not pictured: Chuck Bunting). shown with the instructors following the Awards Luncheon.